Hi guys! I'm having so much fun at Christina and at the internship. It feels really good and I like it here. Plus, I have a nail polish lover by my side everyday (and all of her polishes) and it's amazing. 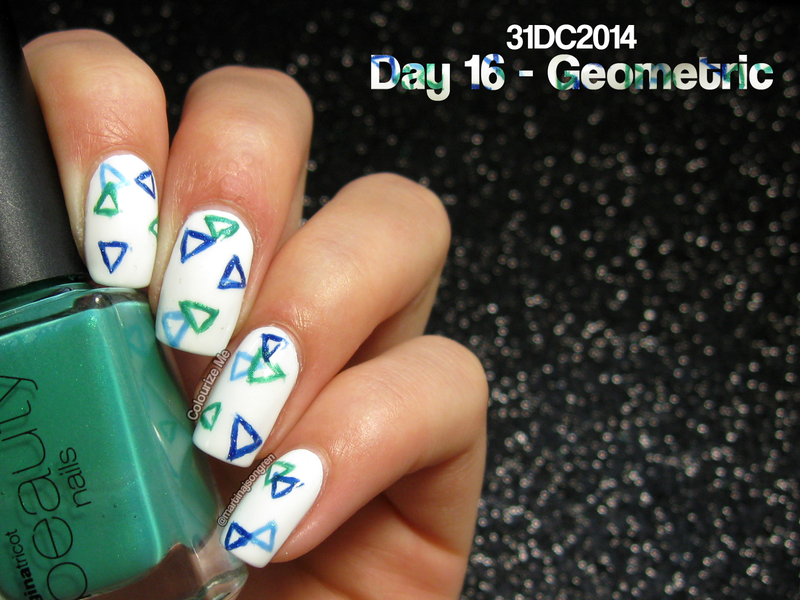 It's day 16 today and the theme is geometric. I did some triangles! I started to hate Nordic Cap NP13 after this manicure. It was streaky and messy and just bad. So, I need a new white creme polish. What's you favorite white creme polish? 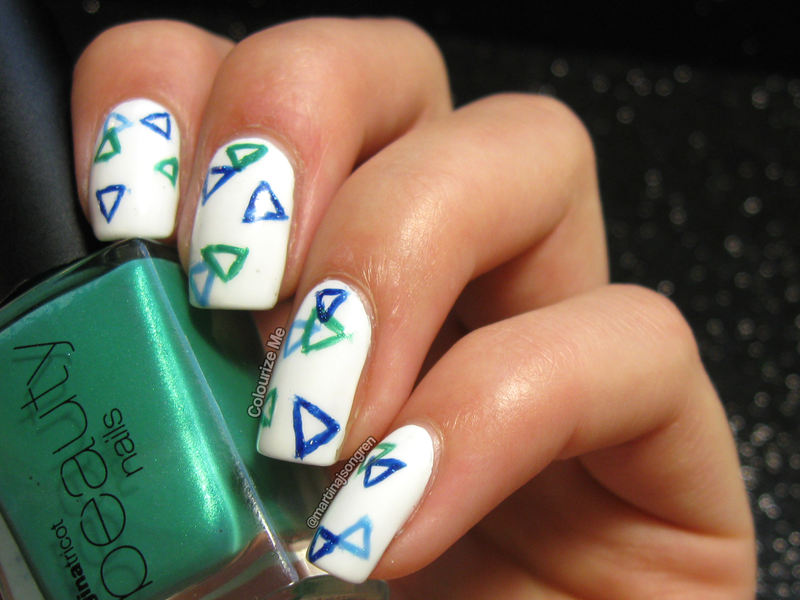 After I had a little fight with the white polish I painted triangles in three different colors randomly all over the nails. I used L.A. Girl Brilliant Blue (Thank you Ingela! ), Make Up Store Nicklas (Thank you Malin!) and Gina Tricot Beauty Billard. 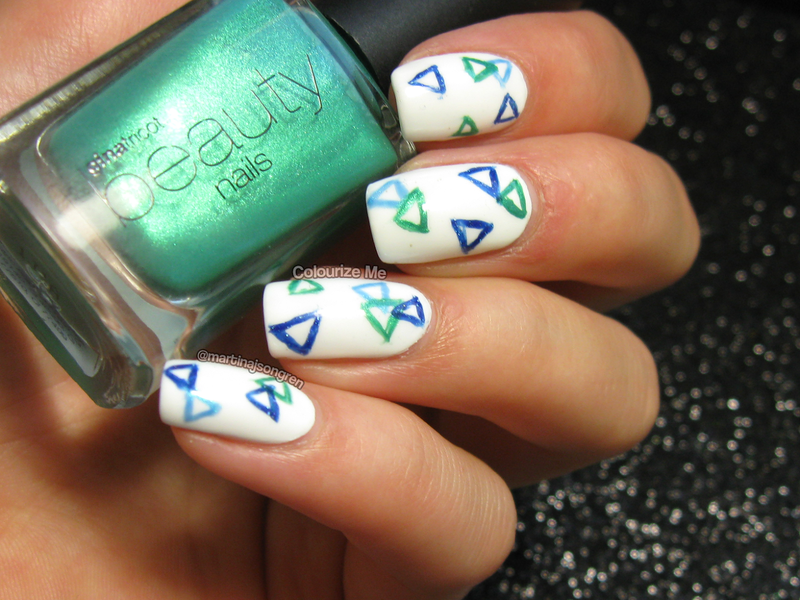 I really like this manicure! 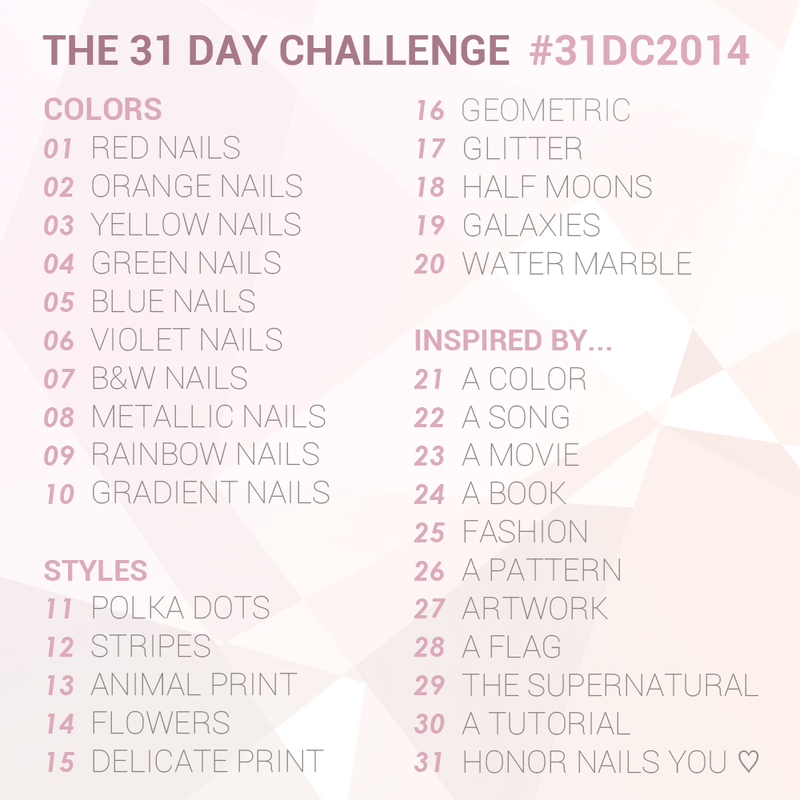 Check out day 16 from last years challenge, click click! Ni verkar ju inte precis ha tråkigt du och Christina ;) Tycker om enkelheten i den här manikyren.